Capsule Bunny: Super Kawaii Snow Sculptures in Shibuya! Everyone know's the story of Hachi - the dog who waited years for his owner to return from work, sitting diligently outside of Shibuya station, unaware that his owner had died at work. 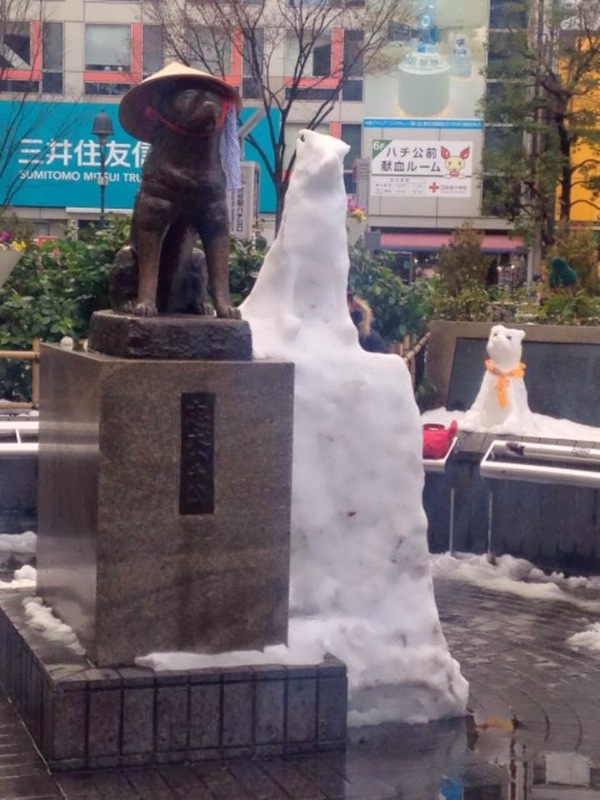 Which is why this particular statue is so heartwarming, they created a little friend or wife for Hachi and added a tiny shiba puppy in the backround, like a little shiba family! I don't quite understand the story behind Hachi's hat though....I guess it protected him from the snow? 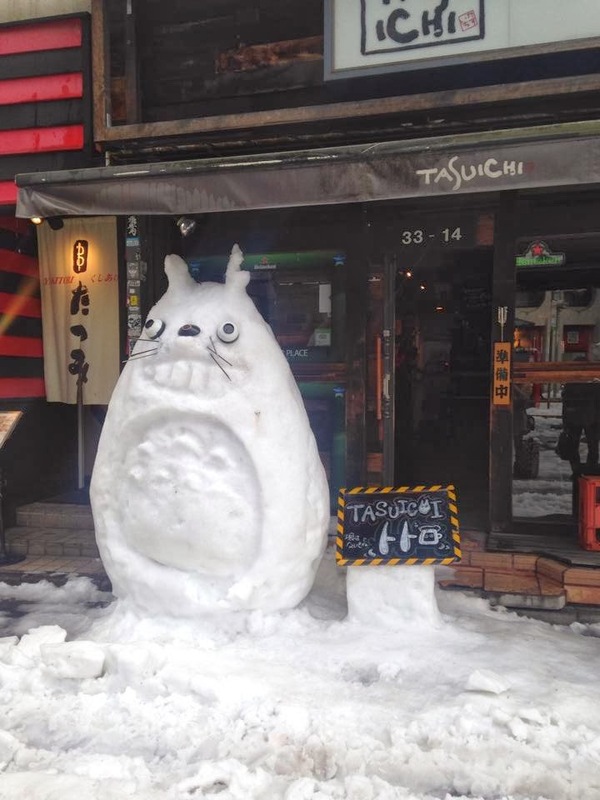 Outside an Izakaya in Centagai, Shibuya the biggest snow man I have ever seen was sat and it ended up being my favourite ghibli character! I guess the Izakaya workers made it to bring in business, I think the sculpting was perfect apart from the creepy bog eyes! Oh and finally; for this outing I wore a new dress I bought from Glavil in Shibuya 109 and Emi wore hime-gyaru. Then as usual we continued our antics at club Camelot in Shibuya, I guess the night got pretty wild because we were posted to Gyaru secrets hahah!